Matrix Gym, situated in Australia at the Northern end of Queensland’s sunny Gold Coast provides the ultimate training experience for everybody. Specialising in Muay Thai, Boxing, Brazilian Jiu Jitsu & MMA; Matrix provides the ultimate training experience for everybody – for those just wanting to get involved, keep fit or learn self defence… for the beginner, advanced and right through to the professional – Matrix has it all. Our state-of-the-art facility boasts 2 boxing rings, a huge array of Muay Thai bags, a seperate Brazilian Jiu Jitsu / MMA training area in a space of over 600 square metres of 50mm Tatami seamless mats. 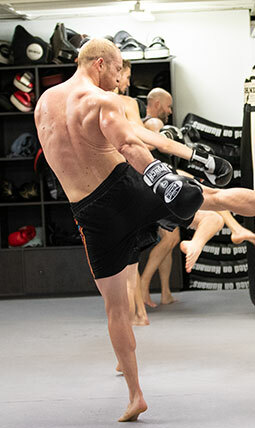 Matrix Gym is one of the Gold Coast most experienced Martial Arts gyms with over 20 years experience. Includes 3 Separate Muay Thai training area’s containing 2 Muay Thai rings, heavy bags and pads from Thailand. Set on 50mm thick MMA seamless floor mats and 150sqm of wall mats. We stock a wide range of Muay Thai and Brazilian Jiu Jitsu clothing and equipment. Be trained by elite level Muay Thai, Boxing, Brazilian Jiu-Jitsu & MMA trainers. All our trainers have a minimum of 8 to 20 years experience. You can feel comfortable knowing you’re being trained by experienced Authentic Muay Thai, Boxing, Brazilian Jiu-Jitsu & MMA trainers. Find out more about the history of Matrix Gym starting from is Muay Thai focused beginning to its evolution into becoming a multidisciplinary academy providing competition proven instructors with expertise in Muay Thai, MMA, Brazilian Jiu Jitsu and Boxing. All of our classes are designed to ensure that all fitness levels can participate and progress when they feel up to it. 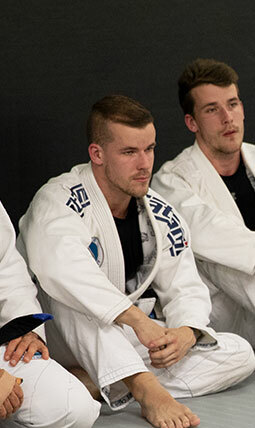 Our classes cover all skill sets from beginners & kids all the way to competition ready fight training. Yes, all of our trained instructors will guide you through every step of the way. click below to check out what our clients say. The Matrix Gym has truely changed my life! 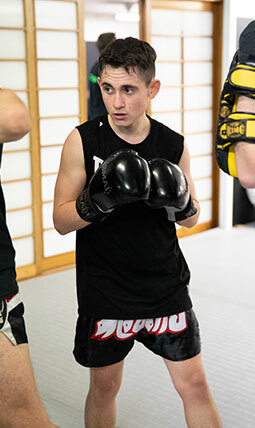 I am now 12 years old and I have been doing Muay Thai for the past year. It was the best decision I have ever made. The trainers are amazing! They have taken me under their wing and push me to my full potential. The Matrix is like a family, we all support one another and care for each other! Awesome bjj classes love training there, great coaches and team and i will enjoy continueing my training there in the future. One of the best Muay Thai Gyms in the Gold Coast. Great environment awesome trainers and awesome people would recommend this gym to anyone wanting to learn authentic Muay Thai.